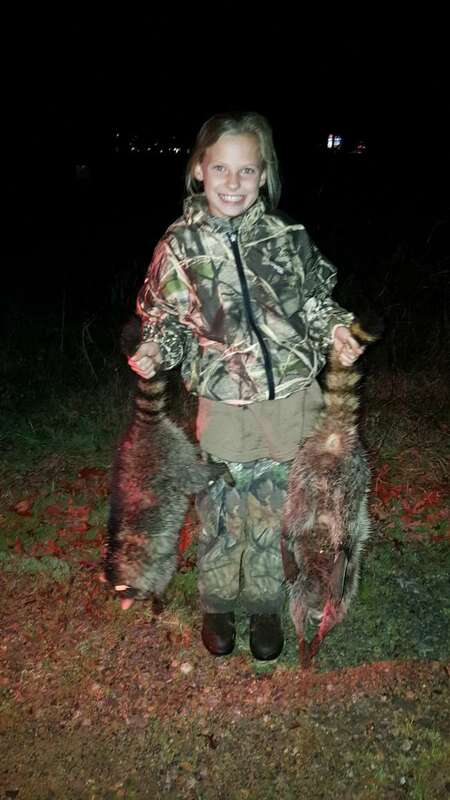 Got an opportunity to take my 10 year old daughter Raccoon Hunting. Neither one of us had ever been before and a friend of a friend wanted to work his dog a little bit so we were able to tag along. I was so impressed with her being able to aim true and make the shot with so much going on around her. Needless to say, she had a blast! The smile says it all! If ya get a chance to take a kid, do it!